As I’m only 19, soon to be 20, I didn’t feel like I could give this anti aging serum a proper review so my mum quickly swooped in and said she’d love to try it. I have a few little thoughts from using it once so here’s my first thoughts review. I don’t like the pump, it doesn’t allow you to pump a little bit of product out, you have to push it all the way down. I love the scent! I was quite surprised to see a normal looking cream instead of a gel like formula which I associate with serums. I really loved the smell, reminded me of Liz Earle products. Anyway here’s my mums first debut on my blog! “My daughter passed this product on to me to review. I really do like it; the smell of roses is wonderful. The cream soaks in well and doesn’t leave any film on the surface of the skin. I use it morning and night and my face feels smoother, softer and a lot less dry. I think my wrinkles are less noticeable because of this. 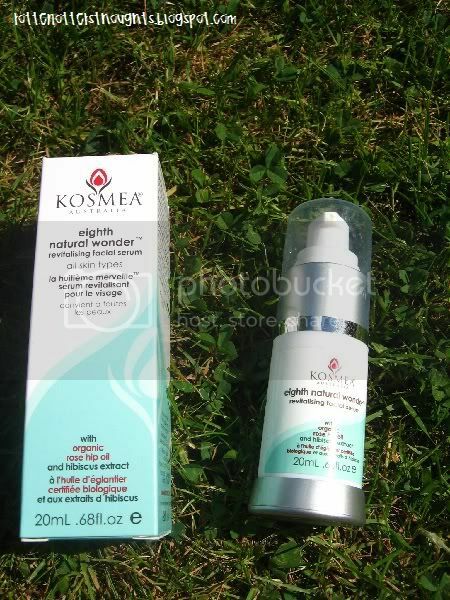 I haven’t had to use any other moisturiser while using the Kosmea face serum. I don’t wear make up so I don’t know how other products would sit on it. A pump action dispenser is a good idea and it fits well in the hand. One pump is enough for a full face application, but you can’t adjust the pressure so that a smaller amount comes out. I think I’ll update this once she’s finished the bottle as I think that could be quite important, like how long the bottle lasted and any other results.